By signing, you agree with the GTC. Ramissio Balance carries one of our values: attitude + care = values. This is a stylish bracelet made of 100% silicon and is a source of four health-giving forms of energy. The first is negative ions. In nature their value reaches about a thousand but in a city it falls to a poor 50. Negative ions contribute to better breathing, improve the ability of coping with civilisation or lifestyle diseases and help to protect the body against harmful substances such as cigarette smoke, dust or electromagnetic radiation. Produkty Ramissio jsou dostupné pouze registrovaným Členům a Zákazníkům po přihlášení. 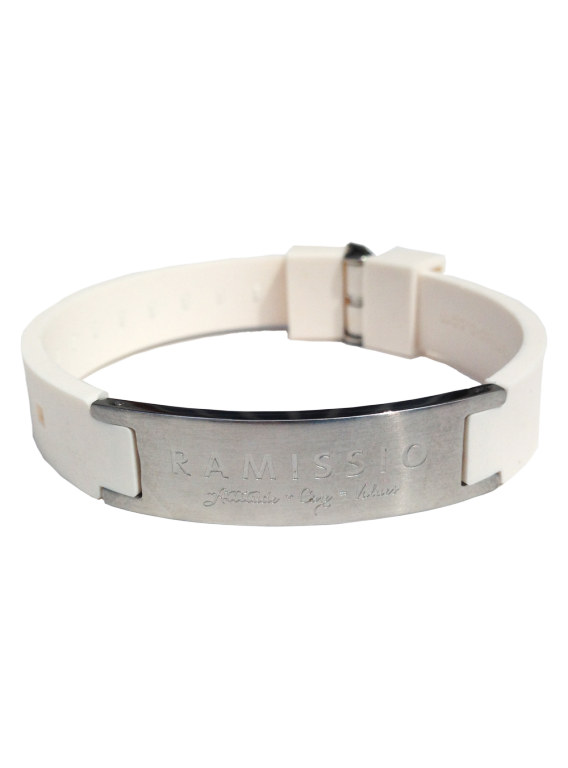 Another form of energy contained in the Ramissio bracelet is germanium dust. Germanium is a chemical element valued above all for its positive effect on the body’s immune system which it enriches with oxygen and supports the regeneration of cells that protect against free radicals. It has strong analgesic and antirheumatic effects, normalises blood pressure and level of cholesterol. It prevents the hardening of the arteries and plays an important role in preventing osteoporosis. 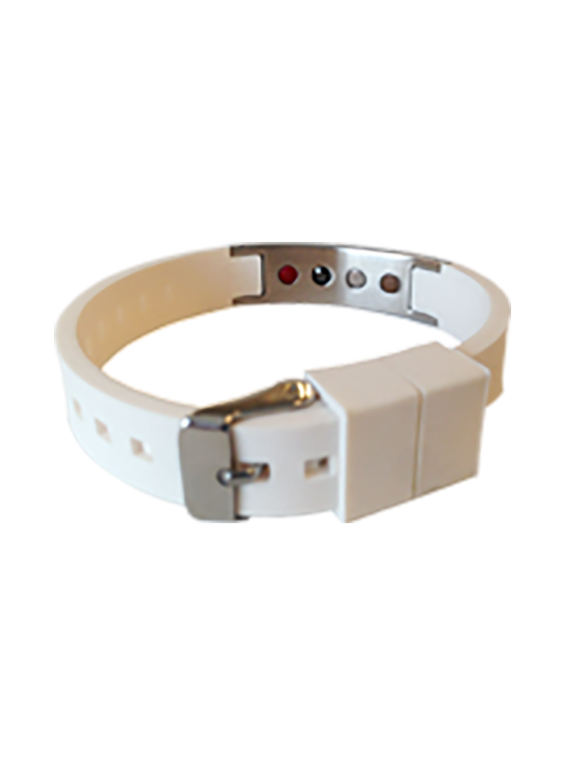 Together with neodymium magnets from rare earth they facilitate the restoration of our body’s magnetic field which is destroyed every day by mobile phone waves and other wireless technology. This helps to maintain our physical and mental balance. The last component is remote infrared radiation. It has a strong wavelength that can penetrate the human body where it is transformed from light to thermal energy and acts on individual cells, muscles and bones. The power of this radiation improves blood circulation, removes harmful toxins from the body and increases the white blood cell count.